When you have a large family, one thing that HAS to be done is the grocery shopping. I am not a huge fan of grocery shopping AT ALL! I’m the kind of person who likes to get things done and over with. 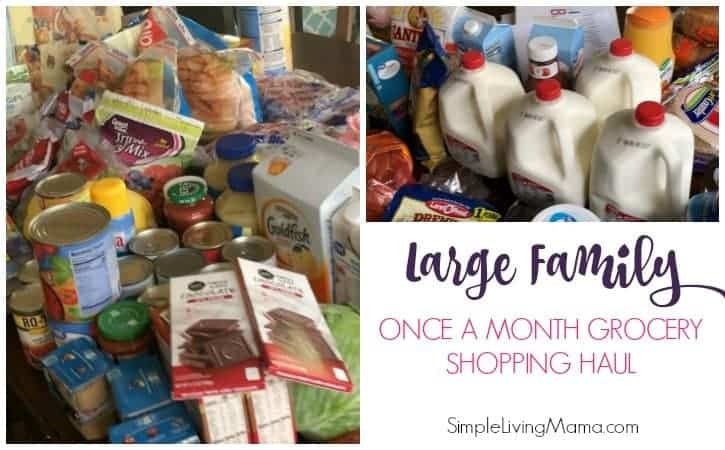 That is why I decided to start doing once a month grocery shopping.I make a monthly meal plan, create a shopping list, and then get all of the ingredients I need for the month. I also get enough fresh fruit, dairy, and snacks to get through two weeks. I do a small grocery run halfway through the month, but it’s no big deal. All of our meals for the month are already planned! 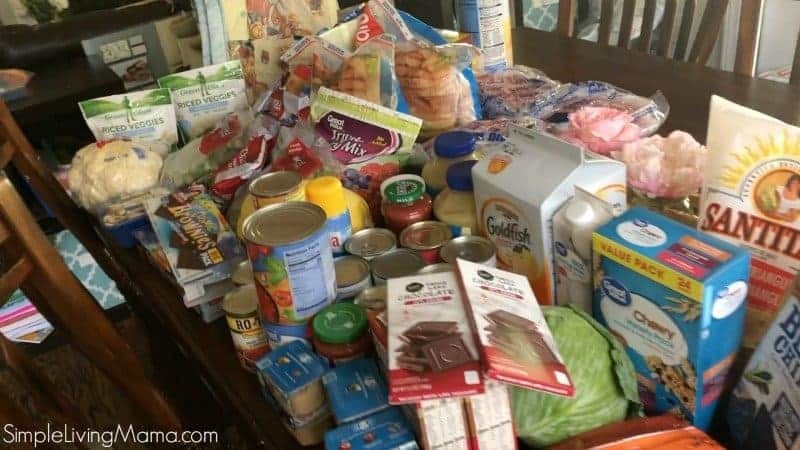 Let’s take a look at our large family once a month grocery shopping haul for the month of April. So, my original plan was to do Sam’s Club, Aldi, and Walmart, but I just couldn’t make it over to Aldi so we only have Sam’s Club and Walmart. Now, it has been a long time since I’ve done a true once a month grocery shopping haul, so I’m not entirely sure how long the fresh fruit and the snacks I bought are going to last us. I know I didn’t get nearly enough milk, and one week into our month I had to make a milk run, but so far everything else has been holding us. 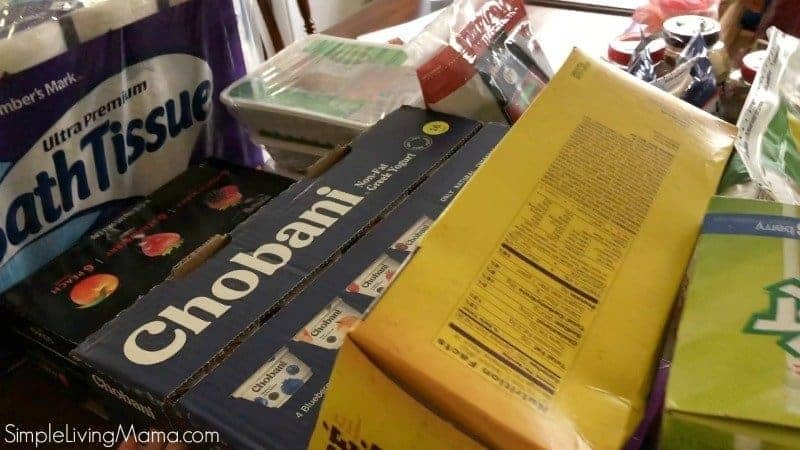 If you’re curious about our budget, we do have a $1,000 monthly budget for groceries and household items. My baby is breastfed so I do not have to buy formula. We do have cats, so their food is included, as well as our toiletries and cleaning items. Pace Chunky Salsa Mild, 16 oz. Sweet Potatoes, 3 lbs Bag. Beef Super Trim Stew Meat, 1 – 1.5 lbs. Want all of my best once a month grocery shopping tips and printables? 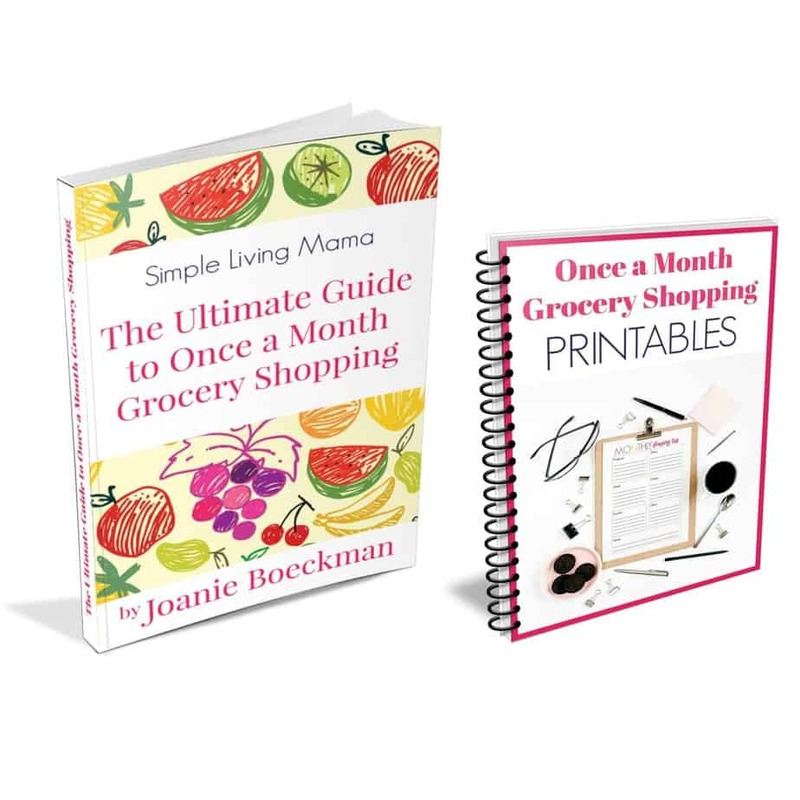 Check out my eBook, The Ultimate Guide to Once a Month Grocery Shopping! How do you begin to budget for monthly grocery shopping? We’re a family of 8, and I know I don’t have an extra $800 laying around to buy a months worth of groceries. Did you have to start slow? Or just rearrange as many h as possible and jump in? This can be tricky. When I first started I actually used some money from our tax refund, so we were basically one month ahead on our grocery bill. I know a lot of people who do their grocery shopping twice a month if buying it all at once isn’t feasible.